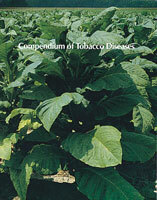 This book is a comprehensive treatment of blue mold and the blue mold pathogen, Peronospora hyoscyami. This is an international book on a species of downy mildew fungus that is causing a 20th-century disease on one of the most economically valuable crops grown in the world today. Geographical barriers have prevented the blue mold pathogen from invading China, India, Japan, and Africa south of the Sahara, but humans accidentally carried it from Australia to Europe. In North America and Europe, this explosive fungus overwinters in the warmer regions and in the summer blows into the cooler regions were it develops best. 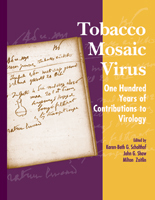 This unique book provides a complex and detailed picture of this colorful pathogen, its relationship with tobacco, its sensitivity to the environment, and the effect of human manipulation. Induced systemic resistance, epidemiology and meteorology, and social and legal implications are discussed in addition to environmental, molecular, biochemical, genetic, structural, and taxonomic aspects. M. L. Menetrez and H. W. Spurr, Jr.